If you are going to enjoy an activity vacation in Mexico, or if you are moving there to study or work, you can send your possessions to Mexico in a suitcase with Send My Bag. This makes your journey much more pleasant since you won’t have to worry about your luggage. Instead you can have it waiting for you at your accommodation. You can also bring many more items than you could if just checking a couple of bags into an airplane’s hold. To find out more about sending luggage to Mexico, visit our ‘How it works’ page, or our ‘FAQs’. Mexico has great golfing weather most of the year, and the country has around 200 golf courses, making it a golfer’s paradise. Some of the top rated courses are Diamante, Cabo del Sol and Quivira. If you want to go on a golfing holiday or just take in a few rounds during your trip to Mexico, you can do so with your own clubs, by shipping them to Mexico with Send My Bag. You won’t have to carry your clubs through the airport or onto public transportation and you will also avoid any embarrassing oversized baggage fees from your airline. So why not look into sending your golf clubs with Send My Bag. Make sure you find out how best to prepare your golf clubs for transit by visiting Send My Bag's information page on how to send golf clubs. In order for shipments to be permitted for entry in Mexico by customs, the named receiver on the order must provide a copy of their passport, flight ticket confirming travel to Mexico from the country they are shipping from (must be dated within 3 months of the shipment’s arrival), entry stamp confirming their arrival in Mexico, and if a non-Mexican citizen, their FMM Visa (Tourist Card), Residence or Work Visa, or CURP (Mexican ID) number if held. Upon the shipments arrival in Mexico, customs will contact the receiver directly to complete a 'Carta Encomienda' letter of authorisation, before the clearance process will begin. You must therefore ensure the telephone number provided for delivery is valid and that someone is available to receive the call. In the event this takes longer than 2 days to provide, there may be additional storage charges. 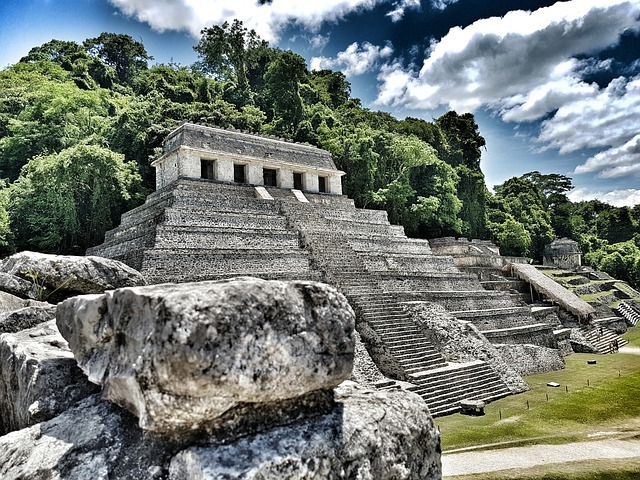 Mexico has a fascinating history, having been ruled by several great civilizations – the Mayas, the Olmecs, the Toltecs and the Aztecs ‒ before being ruled over by the Spanish for at least 300 years. Mexico gained independence from Spain in 1821. Spanish influence is still very much in evidence, however, especially in the country’s use of the Spanish language. Mexico’s climate varies depending on the region, but generally experiences hot and humid weather along the coast and dryer weather inland, especially in areas that sit high above sea level. You may even find freezing temperatures in winter, with snow on the mountain tops. Average temperatures in the capital city, Mexico City, are 64°Fin summer and 55°F in winter. Mexico is home to over 30 UNESCO World Heritage Sites, making it a great destination for travelers. These include the pre-Hispanic towns of Chichen Itza and Uxmal and the historic centres of Mexico City and Xochimilco (a borough of Mexico City). If you fancy a beach vacation, Mexico has a large number of beach vacation resorts to choose from. Some of the most popular areas are: Cancun, Acapulco, Playa del Carmen and Los Cabos. Most resorts offer facilities to allow you to enjoy many water sports, such as diving, surfing, snorkelling, sailing and deep-sea fishing.